This Electric Pencil Sharpener works really well. I love that you do not need to plug it in. It can be powered by either USB (wire included) or four AA batteries. My outlets are always cluttered as is the counter space near the outlets. 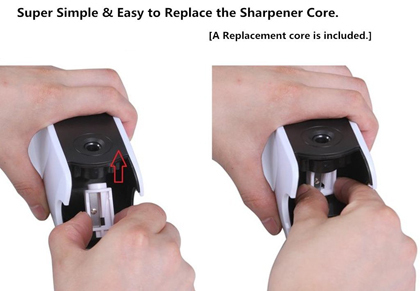 Since this sharpener can be use on battery power, I can place the sharpener anywhere. I can even bring it with me when I travel to do media work at the race track. I also the automatic idling function which eliminates over-sharpening; a very nice feature. Lastly, it looks very stylish. Keep your pencils sharp and ready with the help of this Ohuhu® Desktop Electric Pencil Sharpener. 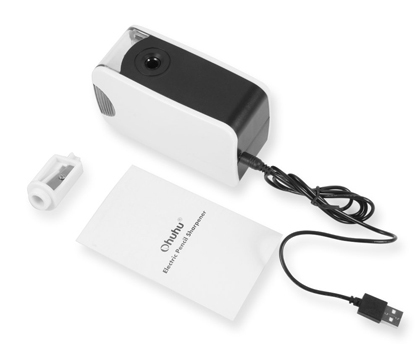 100% Kid Safe!- Automatic safety lock function function: The pencil sharpener stops operation once the shaving tray is removed. Ideal gift for the back-to-school season! Never Over-sharpening! - Automatic idling once the pencil tip has been shaved within 0.3-0.5mm/0.01"-0.02". Now you will never worry a pointy tip to destroy your work. 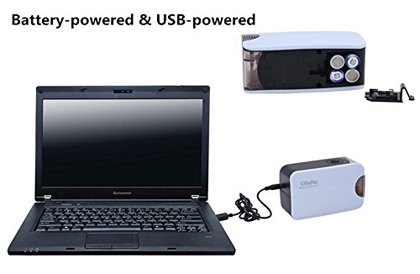 Multiple Power Sources - Can be powered by either USB (wire included) or 4 AA batteries (not included). Take it with you wherever you go! Nonskid feet hold the sharpener in place during use. Sharp & durable SK5 steel blade with faster and stable cutting performance. Translucent shavings tray alerts you when to empty pencil shavings. Compact design, it fits easily into a backpack or messenger bag. 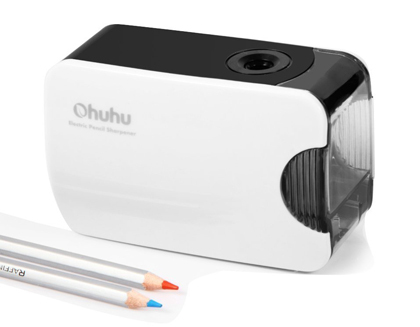 This sharpener is a good choice for personal use, but is also suitable for use at the office or at school.